I am a planner. BIG time. I have no shame in ironing out every minute detail of anything I'm going to do - especially something big and expensive! 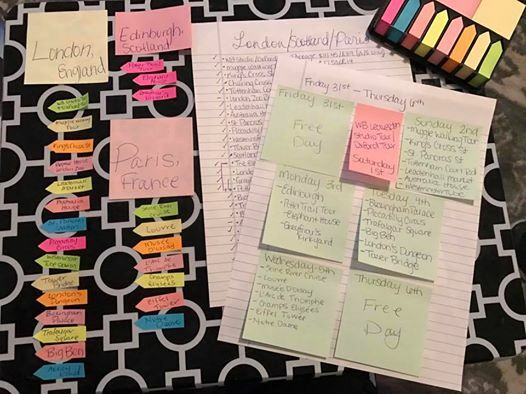 This Thursday, my boyfriend and I are taking a trip to Europe for about a week and immediately I began planning. One kind of silly thing I am doing from all this planning though is creating laminated cards of each day's itinerary with hand drawn pictures of the sights. I hope one day my future children will find them and want to take the same trip Mom did and they'll have the exact itinerary down to the tube stops to do it. So, I thought, maybe other people might want something a bit more personalized and free to do the same?! Sure, you can pay to have a travel agent or you can do it yourself. Or you can wing it which can turn out to be a real adventure! But if you're a planner like me, save yourself the time if you like where we're going! I should mention the main reason we planned this trip is all the Harry Potter activities Europe has to offer. And I'm a yuge fan...yuge. So, if Harry Potter isn't your thing, feel free to take it out, however I encourage anyone to visit AND it only takes up a small portion of our trip. We're still visiting all the London sights, Edinburgh sights, and everything in Paris! Here is the PDF of our itinerary. Click on the image to access the printable and editable PDF! Here is a breakdown of the costs of each item. At the end of each cost is a link to where you can directly purchase the same vouchers or tours we did. Including travel in your cost with advance tickets is a lifesaver and necessity. We've done all the work for you! Please keep in mind that prices for activities and tickets change daily and sales are sometimes running so our cost may be higher or lower than what you see when you book your own trip! $18.44 - The Louvre Museum https://www.ticketlouvre.fr//louvre/b2c/index.cfm/home *If the site pulls up in french, change the language at the top right of the page. The first of three options (Musee du Louvre) is the option we chose. $14.86 + $1.57 to print at home - Musee D'Orsay https://musee-orsay.fnacspectacles.com/processreservation/disponibilite.do *This site is partly in French and I couldn't figure out how to change it though I speak some french so I navigated. To purchase simple day tickets, go to that link, type in the number of tickets you want, choose the "print @ home" option under the "Credit Card" section and click continue. The next page allows you to purchase ticket insurance. Click continue and make an account. It will walk you through the rest. Comment below if you have any trouble! $18.44 for adults ages 25+ to go to top floor/$11.93 for second floor - Eiffel Tower http://ticket.toureiffel.fr/index-css5-sete-pg1-lgen.html?_ga=1.2897141.453521011.1490493465 *Tickets for those aged 12-24 are cheaper! $40.60 - Paris Big Bus Tour with Seine River Cruise https://www.bigbustours.com/en/paris/paris-tour-tickets-and-passes/paris-bus-tour-tickets/?qty[adult]=0&qty[child]=0&focus=top-filter-form/ *Their bus tours change throughout the year so check and see what's available when you book. We used Expedia.com to book our hotel and flight at the same time. I obviously can't guarantee matched prices for those things, however, if you go at certain times you'll get cheaper rates. We're going during spring break, April 1-9 which isn't really considered peak time for London. We planned our days out based on our flight times and on spacing out heavy walking days with heavy travel days. Feel free to switch things around! Prices of any item listed may change at any time. Purchasing advance tickets for attractions in France can be finicky. Make sure your bank doesn't have restrictions placed on purchasing out of country items. Also, if you plan on buying advance tickets for the Eiffel Tower, you need to get your tickets waaaaaay in advance. The Summit ticket (travel to all three floors) is booked up until May for us, so we'll have to buy tickets on site. If you intend to go to The London Dungeon attraction AS WELL AS The London Eye, Shrek's Adventure, and/or The London Aquarium please note you can buy these attractions in packages and save money. We only went to The London Dungeon but if you have kids and want to work the strip and see all four of those attractions or even just three, they have money saving packages you can purchase here https://www.thedungeons.com/london/en/book-tickets/ticket-prices-and-offers.aspx or in person! We printed out every possible ticket, voucher, confirmation page, hotel itinerary, map, etc. possible for two reasons. 1) I don't believe you should rely solely on your phone for mobile tickets because you're going to be taking pictures and videos left and right. Don't get stuck out and about without your ticket. 2) Several places in London and France require a paper ticket over a mobile ticket. Carry a small, secure backpack or purse and take the day's activities tickets with you just in case. I really hope at least one person finds this itinerary fun and useful! It's been months of excited planning and I'm 99% sure I didn't forget anything, but please let me know if you think of something else! With this itinerary, you should be able to take the exact trip we are and purchase everything with ease just by following the above information. A personal travel agent service for free! I'll be doing a follow up post when we return with pictures, reviews, and any changes I would suggest. If you have any problems or questions, let me know and I'll do my best to answer them! 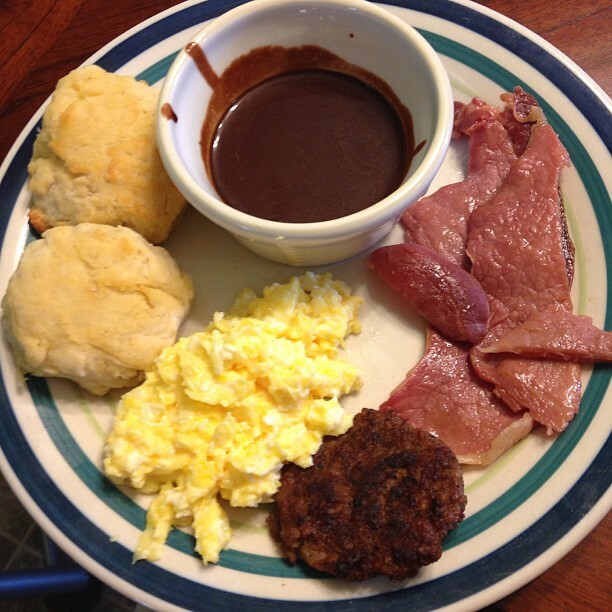 A quick google search will pull up a good handful of recipes for southern chocolate gravy. But many of these, I've found, are time consuming or laden with extra ingredients. Half the reason chocolate gravy became so predominant in my family was because you didn't need much time or material to make it. Anybody who's made biscuits and gravy from scratch know what a time consuming process that is. So, I'm going to teach you (just like my great-grandma taught my grandma, who taught my grandma, who taught my mom, who taught me) how to make real southern chocolate gravy. 1. Mix dry ingredients in medium saucepan until combined. 2. Turn heat on medium/high. 3. Slowly pour in water, stirring well to combine. 4. Bring to a boil and reduce to simmer, stirring occasionally until desired thickness is acquired. * It usually doesn't take long after reaching a boil for the gravy to be done. There seems to be two methods of eating chocolate gravy and every person clings to their own. One is breaking up your biscuit and pouring the gravy over the top. The other is keeping your biscuits whole and doing the same. I'm a biscuit ripper myself. That's it! This makes the best tasting and easiest chocolate gravy. This recipe makes any breakfast (or frequently, lunch and dinner) instantly fun! You'll feel like you're eating dessert and who doesn't want that? It's been in my family for generations and is loved by most who try it (except my brother, who I'm disowning for the purposes of this post). So don't be afraid to whip some up and dig in! 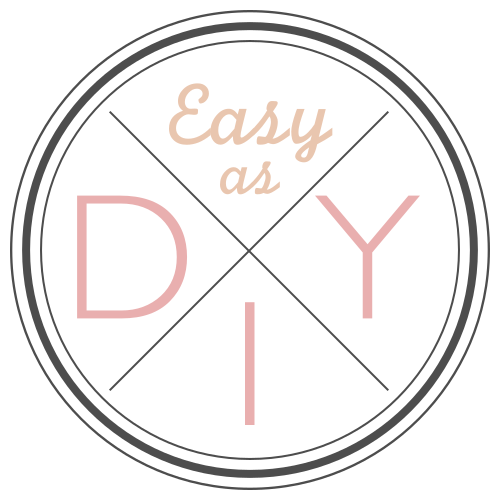 DIY: Mini Binder Purse Companion & 14 Free Printables!